Many people who plant a privacy hedge or windbreak need it yesterday. Spartan juniper trees (Juniperus chinensis ‘Spartan’) may be the next best alternative. Spartan is an evergreen that grows extremely quick and can be used to create an attractive hedge or screen. For additional information about Spartan juniper trees, including tips for growing and care, read on. Spartan juniper trees are a narrow cultivar of Chinese juniper, Juniper chinensis. The original tree is native to northeast Asia, including China. The Spartan cultivar is also known as Chinese Spartan juniper. Juniper has been grown in China for hundreds of years, well before western gardeners “discovered” the tree. This cultivar grows to some 15 feet (5 m.) tall but remains slender, between 3 to 5 feet (.9-1.5 m.) wide. Its dense foliage is dark green and can be clipped into different shapes. Even without being sheared or trimmed, the plants have a uniform shape. Those interested in growing Spartan juniper will want to start with climate. Chinese Spartan junipers do best in U.S. Department of Agriculture plant hardiness zones 4 or 5 through 9. Select a planting site carefully. The trees grow best in full sun and absolutely require well-drained soil. If you plant them in wet soil, they will likely develop root rot and die. Providing adequate irrigation is an essential part of how to grow a Spartan juniper. Although these trees can develop drought resistance, they take quite a while to establish their root system after transplant. That means regular deep irrigation is important for the first few seasons. You can help the tree develop its roots by loosening up the roots when you remove the plant from its container. Use a knife to break up the tight root mass. Chinese Spartan juniper is usually a healthy plant. These trees are not particularly susceptible to any pest issues or disease problems. Planted in soil with good drainage, they do not get root rot. However, they can be infected with tip and needle blights. 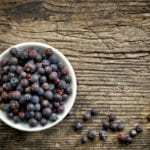 Excellent Spartan juniper care can prevent many health issues. Pruning is not an essential part of Spartan juniper care. If you do prune your Spartans, act in summer for best results. 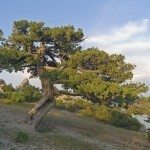 Read more articles about Junipers.